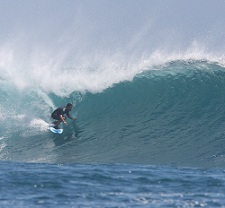 Because we know that these are you holidays and that you want to do something really special and fun. Ride with us for a different type of Holidays!!. 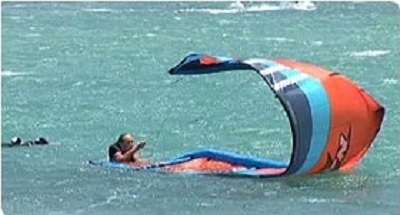 We are not just another kite and surfing school in lanzarote. 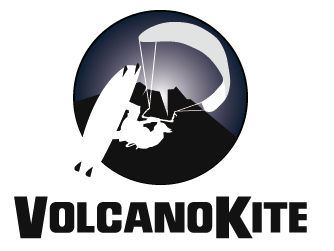 VolcanoKite offers Kitesurfing and Surfing Courses for everybody and for different levels of experience with the best instructors. Our main concern is that you have a great time while following all the security protocols. For sure you will get an AWESOME EXPERIENCE with huge doses of adrenaline. Every session will be a very special moment in your life and you will always remember these holidays. Our objective (not being pretentious) is to "change your life", and we are already achieving it with many people and friends. Once you try it... You are hooked!! 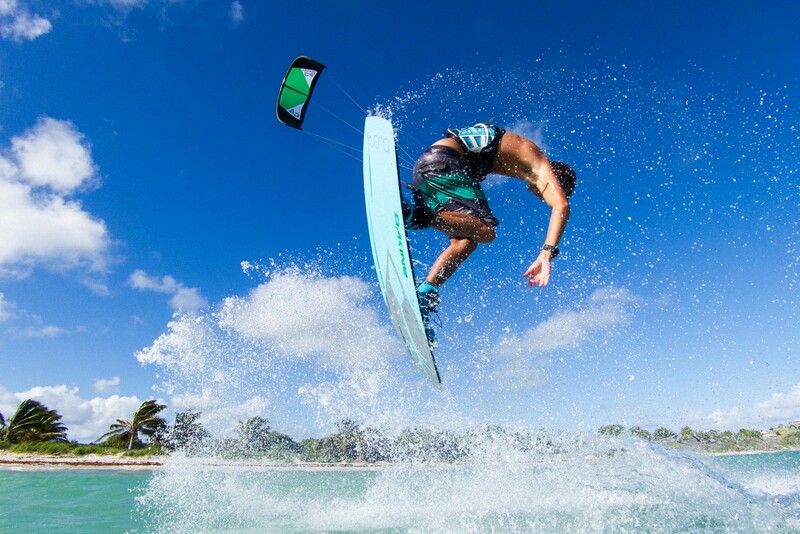 Come and Learn Kitesurfing to Lanzarote with VolcanoKite School in Famara Learn more about our Kite surfing Courses. 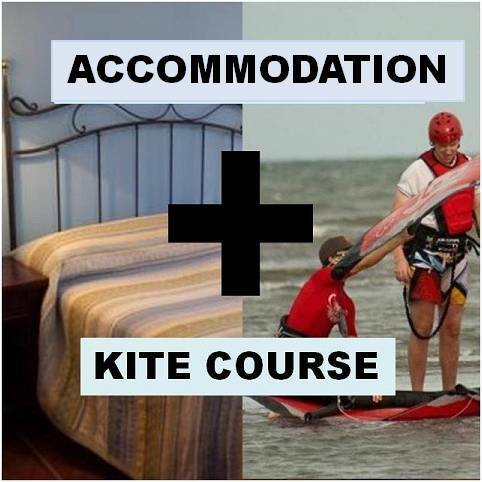 We can also help with your Accommodation. So Come and Enjoy your holidays in VolcanoKite School!! 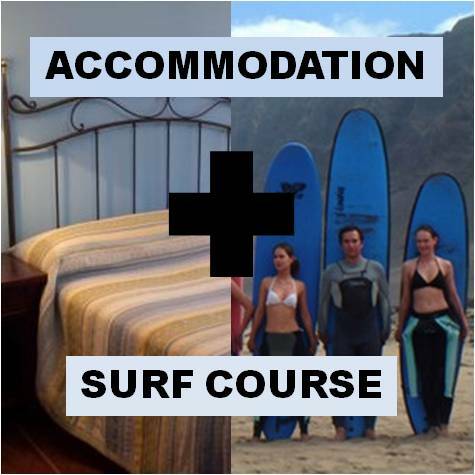 You will Have a blast kitesurfing and surfing by learning with the best school in Lanzarote, and meeting new people from all around the world with the same interests as you. The best thing to do to truly disconnect from the daily routine back home is to practice some adventure sport during your holidays. That way you have fun and don´t feel bored and feel that your holiday is over and you have not done anything. 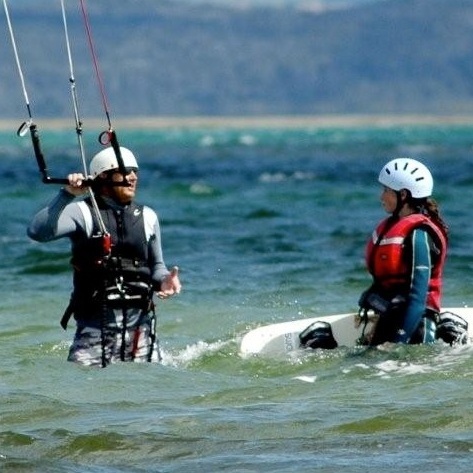 Kitesurfing is all about having fun as you do it with someone who can teach you with control and knowledge, it is not secure to learn it on your own, and accidents have happened before to people learning on their own. 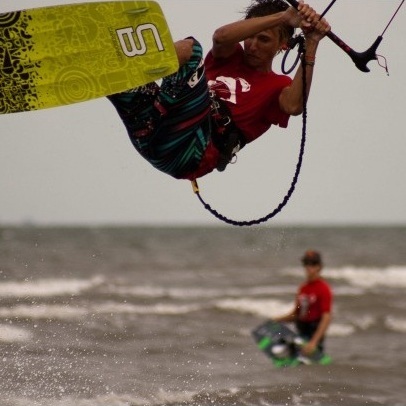 It is much safer if someone takes you through all the safety and teach you the tricks about the sport. It is not hard nor risky as long as you are in professional hands in the right place and with the right conditions. 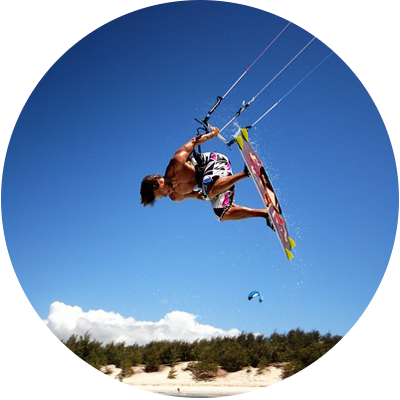 We are proud to say we have a 0 accident record mainly because we have a very experienced team and because Lanzarote is really safe for learning kitesurfing. 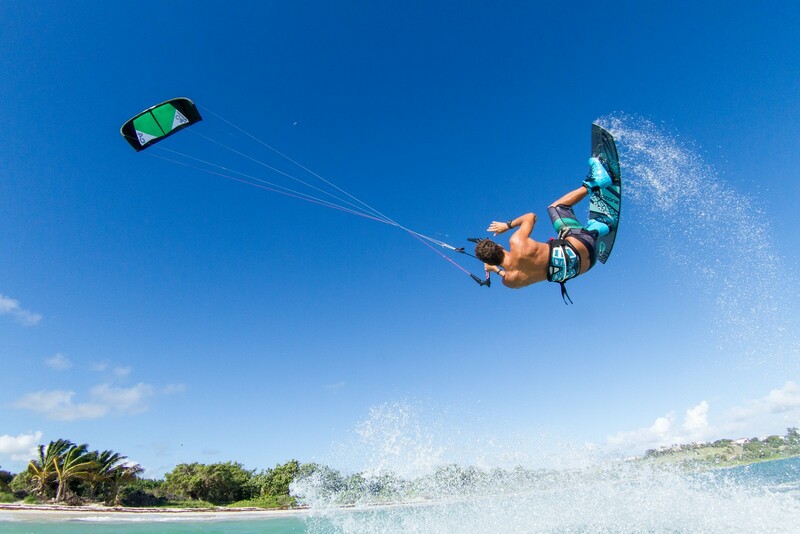 Actually, Lanzarote is considered one of the best places in Europe for learning kitesurfing well ahead of places such as Tarifa (where the big crowds make it really dangeous) or Fuerteventura (where you have to go in a boat to the middle of the Ocean for learning). 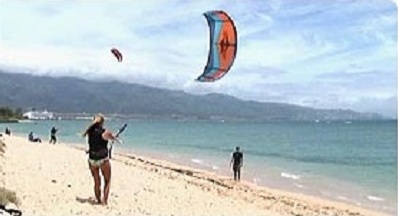 Famara has a huge 6 km beach with the right side on shore winds ideal for kitesurfing. Click for more about Famara. Surfing is in general a less risky sport, and you can just grab a board and go on your own, but then you also have the beach hazards that you can learn with a teacher and also you will learn much faster with a teacher that corrects you, shows you, and takes you to the correct part of the beach. 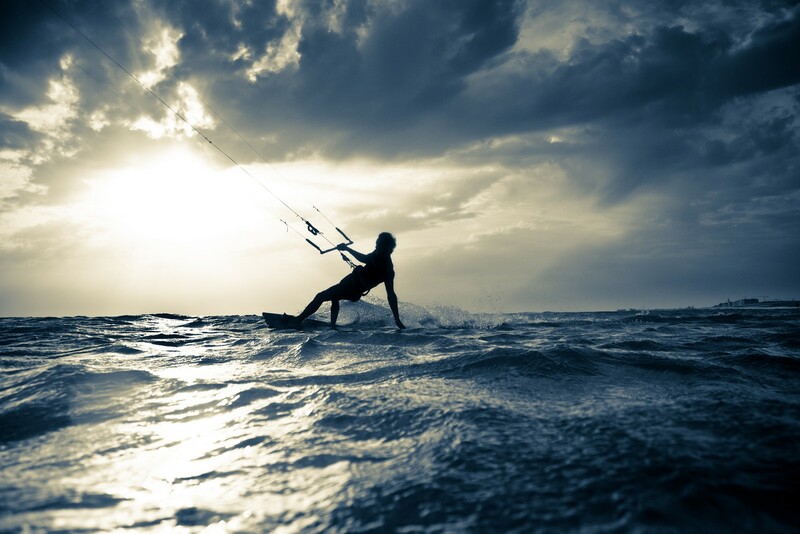 Its less risky than kitesurfing but at the same time it will take you forever to learn on your own. Our expert instructors been interviewed by the local Spanish TV on the beach talking about the kitesurfing in Lanzarote, the wind conditions, the surfing conditions and the main aspects of these sports.